How to Build a Raspberry Pi Twitter Bot #piday #raspberrypi @Raspberry_Pi « Adafruit Industries – Makers, hackers, artists, designers and engineers! Everyone loves a good Twitter bot (emphasis on good) – whether that be the unofficial Big Ben bot, Dear Assistant – the handy assistant or Pixel Sorter – the bot that creates stunning algorithmic art. You might even have your own ideas about a funny or useful twitter bot – maybe a parody bot, or a bot that tweets if it’s raining? 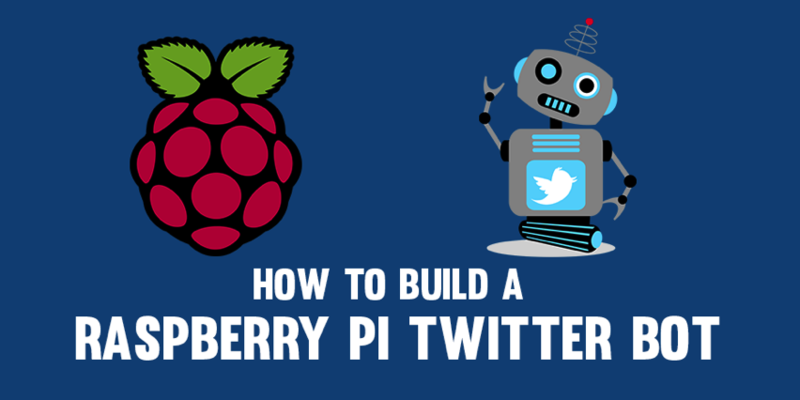 If you’ve got a Raspberry Pi hanging around and a few minutes to spare, then you can make your very own twitter bot.